CLEARWATER, Fl., February 8, 2017 –Churchill Stateside Group, LLC (CSG), a real estate and renewable energy financial services company, is pleased to announce the Acquisition Bridge Loan to HUD Program (AB2H). The AB2H Program is a new debt structure allowing for the acquisition of multi-family properties utilizing a short-term bridge loan, while simultaneously starting an application for a FHA/HUD Section 223(f) permanent loan takeout. This program was designed with speed of execution in mind, allowing our customers to acquire new properties quickly, while also taking advantage of the long term benefits available under the FHA/HUD Section 223(f) program. The concurrent underwriting process utilized by this program allows for one set of due diligence reports to be used for both loan products saving time and money for our customers. Keith J. Gloeckl, CEO of CSG stated “We at CSG are pleased to provide the AB2H Loan Program to compliment our existing array of construction and permanent debt products. For developers that need to move quickly to acquire a property this product can be a great solution with the confidence of an exist strategy to a permanent loan with HUD.” More information about this program can be found on our website CSGFirst.com, or by contacting our Clearwater, FL office at (727) 461-2200. 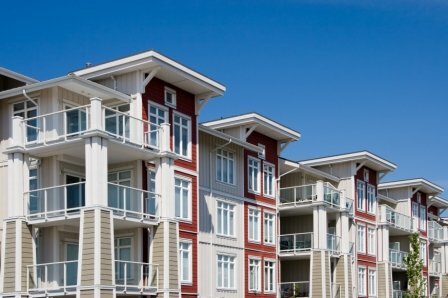 Acquisition Bridge Loan to FHA/HUD (AB2H) Program – Bridge Financing for the Acquisition of Multifamily Properties and Permanent Financing through FHA/HUD Section 223(f).